Aww I bet she had such a great time! 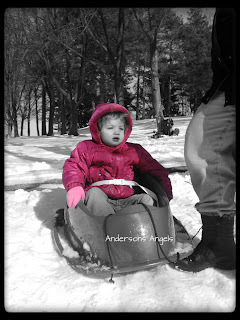 We haven't had any snow yet in Chicago, but our sleds are all ready! Oh my goodness, I bet she had so much fun! Didn't actually think I'd miss the snow being in VA, but I actually do. It's become so much a part of our lives. 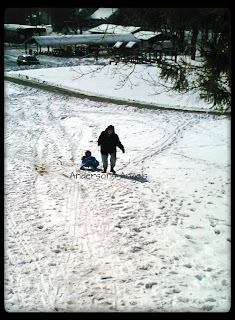 =) Enjoy your snow! 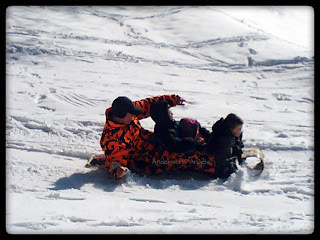 Looks like fun.. we are going to go see snow end of the month and hope that Jayden gets his first sledding to. SO CUTE!!!! She looks adorable in that first picture! So glad she enjoyed it! It's been ages since I've been in that much snow! (Thank goodness!) 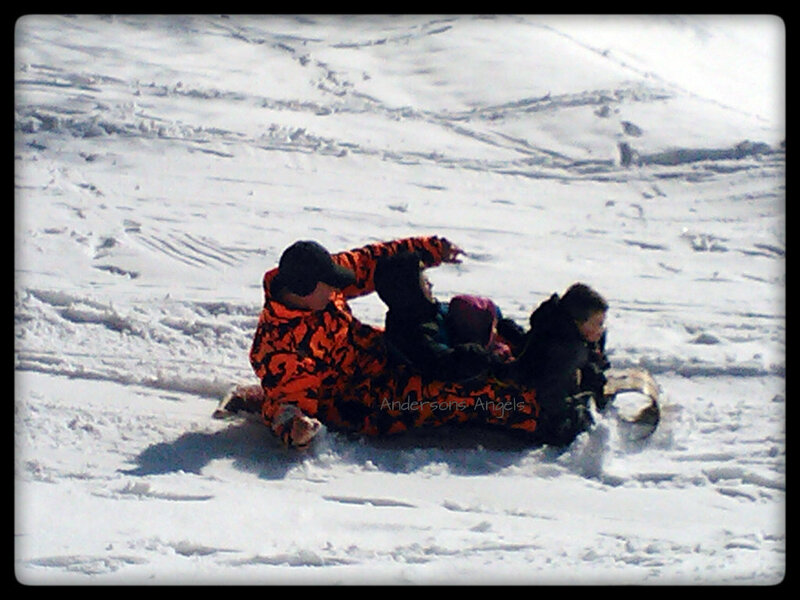 While I'm not partial to the snow, I love seeing people have fun in it!! I'm jealous of the snow! Looks like fun! I love snow, as long as it is there and not here!! That looks like a blast! Love how you edited the first picture to black and white with the pink jacket.... Awesome! Wow. This looks like it was fun. Still no snow for me and I LOVE the snow. I just keep waiting... and waiting... and nothing. Enjoy it! How fun! We still haven't gotten any snow at all, not sure if we will.